When you have something to celebrate, Claire’s can make it sparkle. 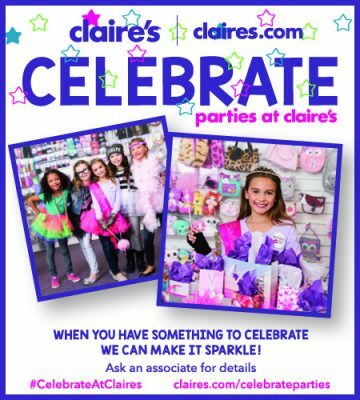 Schedule your next party at Claire’s. See a store associate for details.